Using some simple black and orange decorations, but keeping the mercury glass from my fall mantel, I created a bewitching mantel display for Halloween! 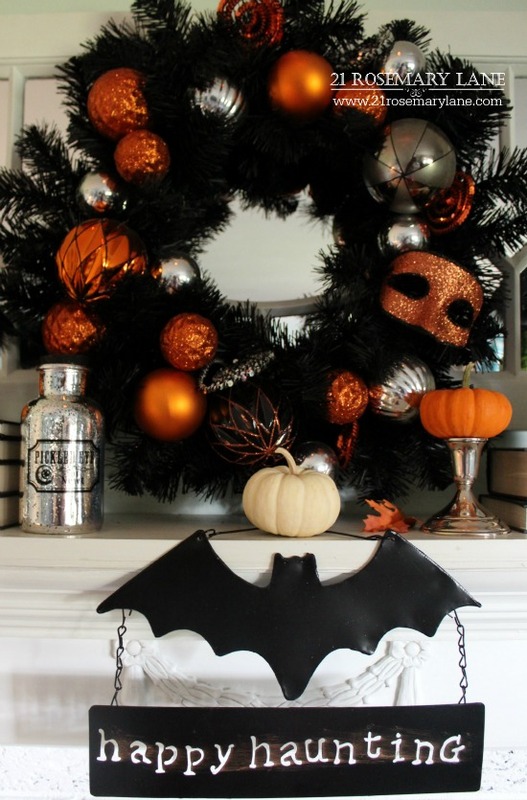 The fabulous Halloween wreath was a post season clearance item at Pier One a few years back. 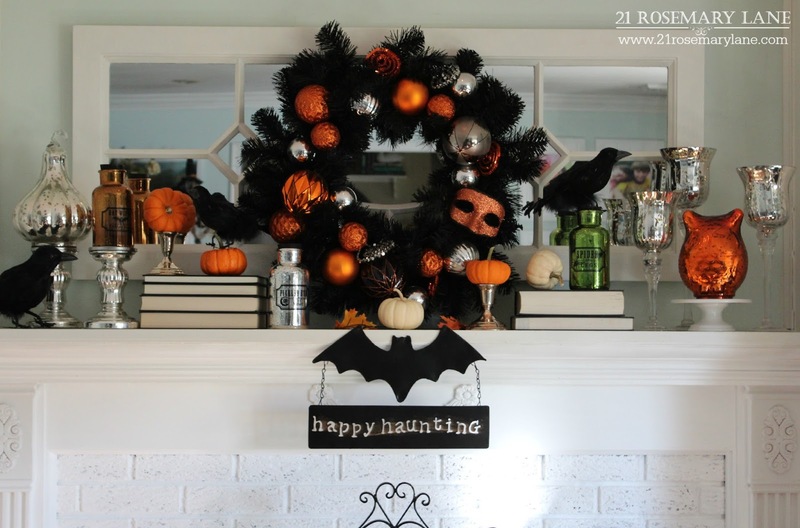 I just love the how white background contrasts so beautifully with the classic black and orange of the wreath. 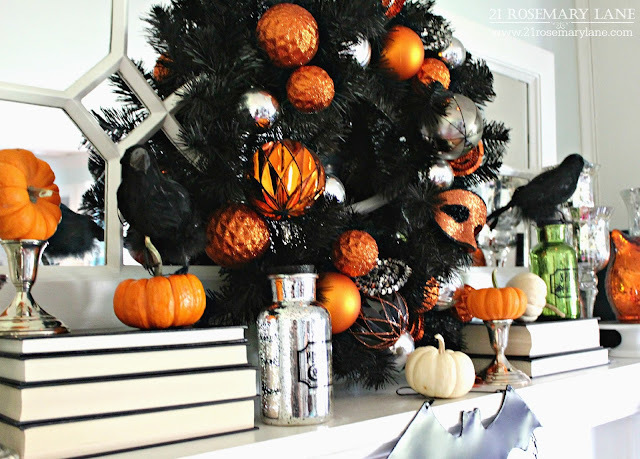 Using a few black bound books to keep with the color scheme, it was easy to give the display some interest by varying the heights of the crows and pumpkins. 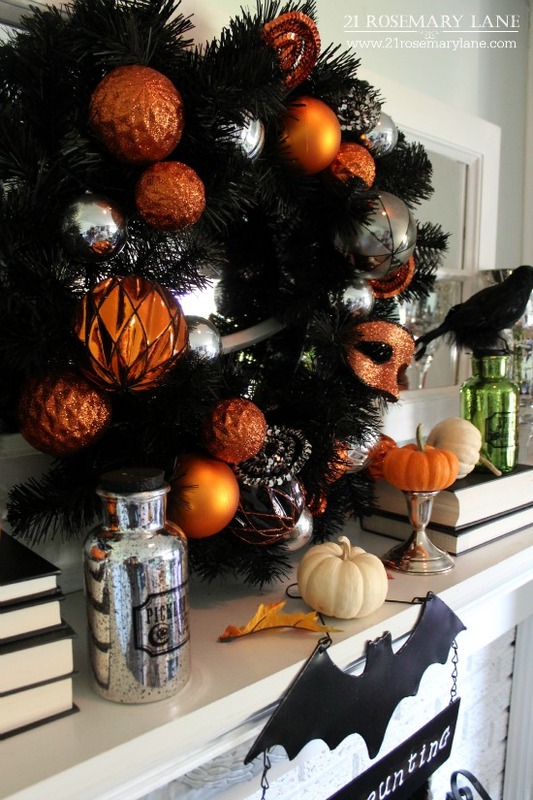 Gosh don't you just LOVE Halloween??? I love it!! 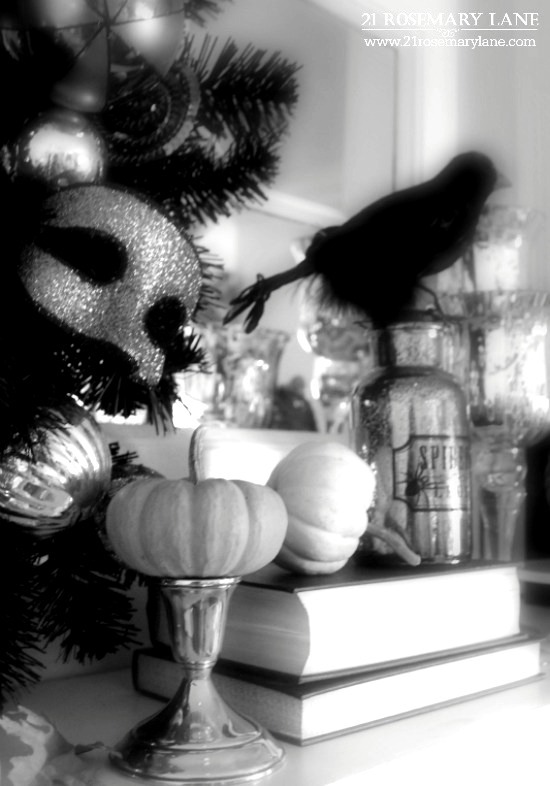 Bewitching, but not scary. 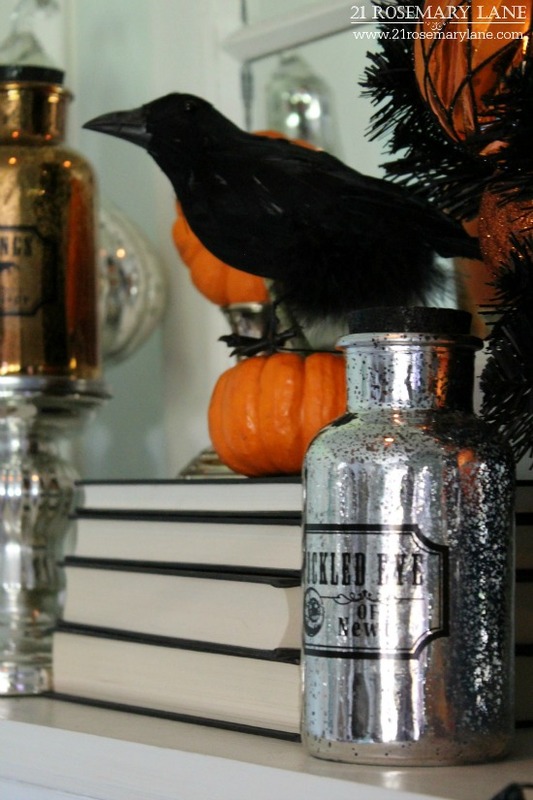 Did you print labels to attach to your mercury glass bottles? No Susan...actually I think i picked them up at Michael's a couple years ago. Thanks for stopping by!!! 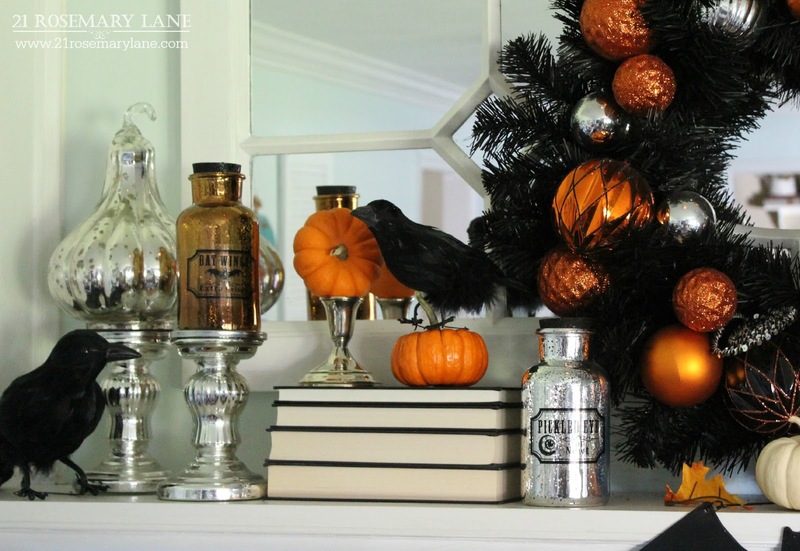 Love your elegant Halloween mantel Barbara. Just beautiful. Have a great week end. Love this, yes, your black and orange are perfect. 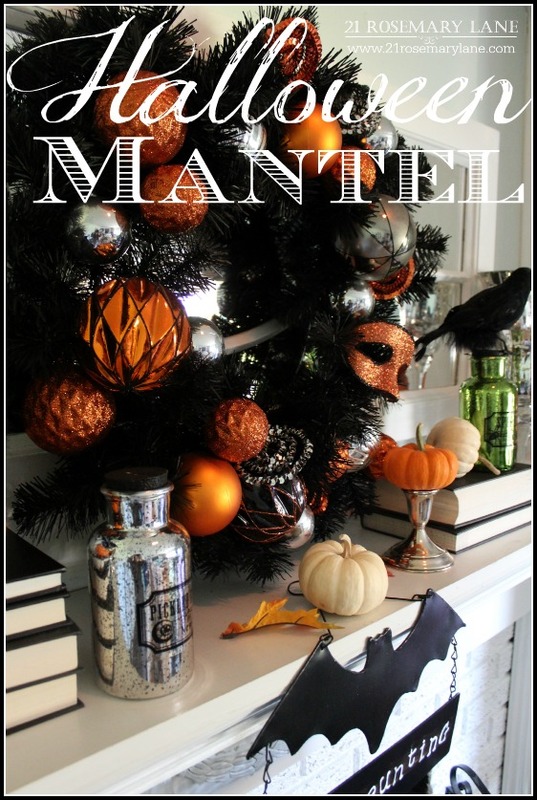 BeWitchingly Beautiful Halloween mantel, dear friend!! !